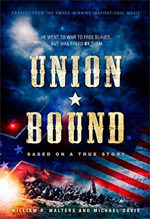 A companion book to the popular dramatic film by the same name, Union Bound delves into matters of integrity, honor, and redemption. 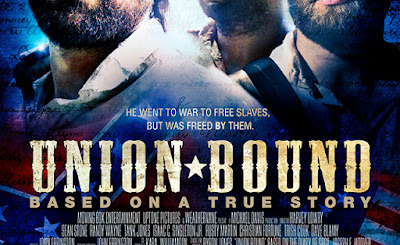 In a time of racial division like the country hasn't seen in sixty years and weak leaders who are willing to compromise the principles and values the nation was founded upon in order to appease an enemy hell-bent on killing anyone who disagrees with them, Union Bound is a powerful story of one man who understood what slavery is all about and who risked everything to do the right thing, to save his country, to free slaves. It is a story of compassion, resolve, and unity against a common evil. 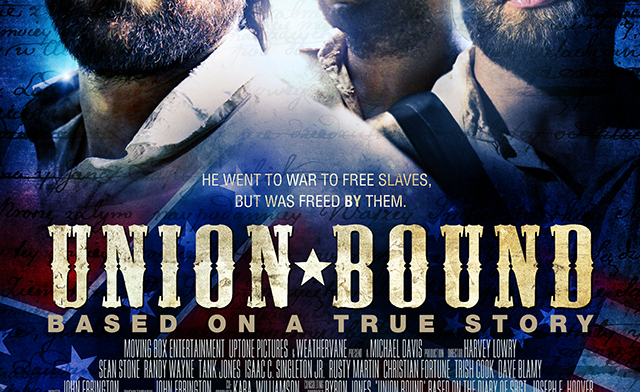 It is a story of our past to encourage us to be resolute today. News---What Is New Inside the CSS Hunley? Exploring Inside The Hunley, One More Time, Brian Hicks, Post and Courier, March 25,2016. Clemson conservator Johanna Rivera-Diaz works to remove a century’s worth of hardened sand and sediment from the interior of the Civil War-era submarine H.L. Hunley. If there are any last remaining secrets onboard the Hunley, they will be out soon. Scientists at Clemson University’s Warren Lasch Conservation Center are beginning their final scrub of the Civil War submarine’s interior — a painstaking and slow process of removing all the hardened layer of sand, sediment and shell that coats nearly everything in it. This is the last remaining big job before restoration can be completed, one last chance to dig into every nook and cranny of the 19th century submarine. Conservators and archaeologists expect there are more artifacts to find in the crew compartment, including buttons, tools and anything else the eight-man crew might have carried since parts of the interior remain heavily encrusted. The work will reveal more details about the surprisingly sophisticated machinery of the 1863 sub, but it is looking less and less likely that there will be anything approaching a smoking gun that says definitively why the Hunley disappeared in 1864. Last year, conservators spent months removing concretion from the sub’s exterior as one of the final steps in the Hunley’s restoration. Perhaps the most intriguing discovery found then was a crack in the sub’s bow cap. 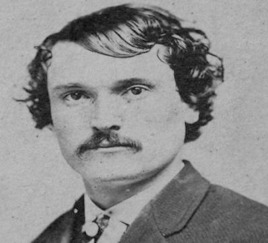 Scafuri said it may be evidence of the Hunley’s collision with the USS Housatonic, the Union Navy ship the sub sank on Feb. 17, 1864, just before it disappeared for more than a century. The exterior work revealed no major surprises; it looks exactly like Conrad Wise Chapman’s contemporary painting of the sub. The interior work will be completely different, as there are no historical records that detail the inner-workings of the Hunley or its crew compartment. There is no timetable on the interior de-concretion/excavation, but odds are it will be much slower than work on the sub’s exterior. The Hunley is being soaked in sodium hydroxide to remove salt from the metal and stabilize it to prevent further deterioration. Even when the tank is drained, some of those chemicals remain, making it even harder to climb around in the cramped confines of the 40-foot sub, which is only 3½ feet wide. Conservator Johanna Rivera-Diaz said the trade-off is that those chemicals are softening up the concretion. “Some of it is falling off,” she said. Still, the team will be working in cramped quarters, chipping away at concrete-hard mud in the tricky corners of the submarine. Anytime an artifact is found, the scientists will have to stop scraping to map its location on a 3-D grid. Scafuri said that all these clues are probably all scientists will have to piece together the final moments of the first attack sub. Every piece of evidence suggests one thing and eventually that research will point to an answer for the biggest lingering question: why didn’t the Hunley return after sinking the Housatonic. Between work on the interior, conservators are busy restoring pieces of the sub that were removed — rubber gaskets and glass deadlights, for instance. All those pieces will be replaced when the caustics treatment ends and the sub is ready for dry display. That’s still several years away. But the last answers anyone are going to get from the sub are just around the corner.